Untutored but advice is always available. Cost £5 for one hour, £10 for two hours or £15 for three. 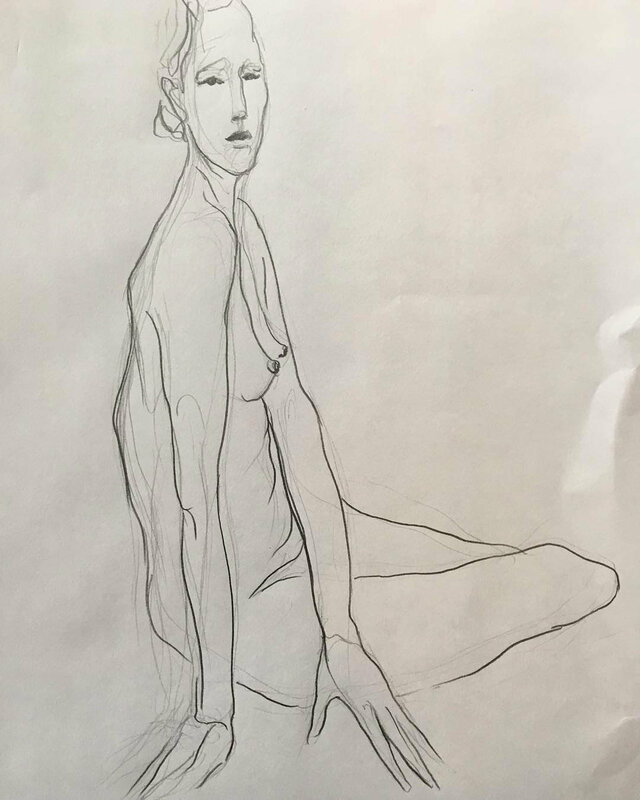 When life drawing short poses are excellent for training the eye and the hand and building the ability to sum up the essence of the figure with economy. The first hour will have poses between 1 minute and five minutes and in the second hour longer poses will be held with longer still in the third hour. This is a familiar format for life drawing sessions which most of us find very satisfactory. Whilst the session runs for three hours it is possible to attend one, two or three hours, as works for you. Joining or leaving the group happens promptly on the hour. Our studio is a good size and well equipped with professional lighting. We have easels, drawing boards clips and so on and paper to buy at below high street prices, eg. A1 110gsm cartridge 20p per sheet. We have charcoal stubs available and new sticks cost 50p.